Pressure Cooker Southern Style Cheesy Grits are delicious any time of the day. How about in less than 15 minutes, without standing over a hot stove? I grew up in Miami and developed a love for grits at an early age. Most places serve plain grits with eggs for breakfast. Usually, a bagel with cream cheese came with the meal. We frequently ate breakfast at a Jewish deli, so bagels were always available. I use to dunk my bagel in the yolk of my egg and then my Grits and developed a love of eggs over grits. As the years went on, I started cooking my Grits with cheddar cheese. 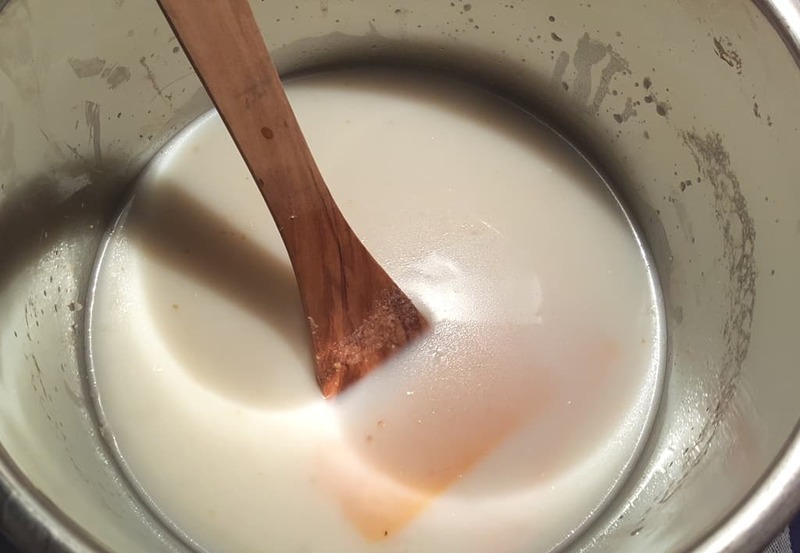 First, I would toast the Grits in a heavy sauce pan and then add the rest of the ingredients and stand at the stove for 45 minutes, stirring and stirring. Enter Instant Pot or Pressure Cooker. Just a few minutes and you are done! No more standing over the pot on the stove. 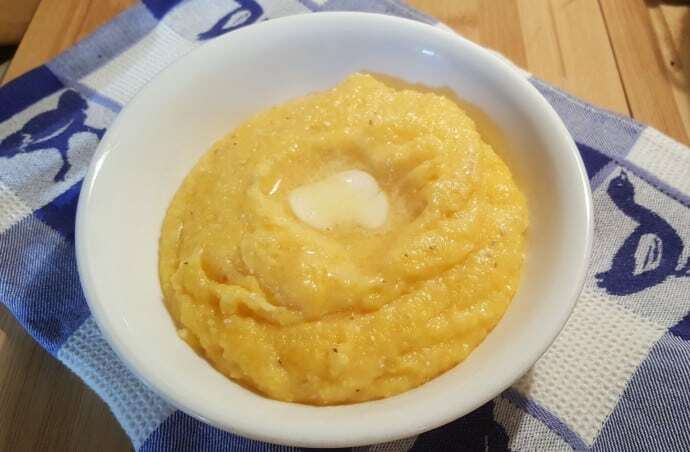 I will show you how to make the Grits, right in the Pressure Cooker cooking pot using White Stone Ground Grits and using the “Pot In Pot” Method, using Yellow Stone Ground Grits. My favorite grits these days are Palmetto Farms Stone Ground Grits and I use both the white and the yellow, depending on my mood. I like to make Shrimp & Grits, which I learned from living in Charleston, South Carolina for a few years. Directions using the toasting method for cooking the Pressure Cooker Southern Style Cheesy Grits directly in the Pressure Cooker. Allowing a stainless steel cooking pot to heat before adding the oil/grease, makes the pot non stick. After your Pressure Cooker is Hot, add the Bacon Grease or oil. Add in the Stone Ground Grits and mix them around to toast for a few minutes. This adds another layer of flavor. Dump in the rest of the ingredients and you are good to go. This recipe makes a lot and it is so nice to set the time and relax. No more standing over a hot stove and stirring and stirring and stirring. If you want thicker Grits, hit the Sauté or Browning button, adjust to low and simmer until you get the thickness that you prefer. Remember, the Grits will continue to absorb the liquid just by sitting in the pot. I’m the only one in my house who loves grits, so I sometimes make the full amount and then store the rest in the refrigerator to have during the week. These Retainers Extreme Freezer Containers are quite convenient. I also use them when I give away food to my neighbors, since they are so cheap. I’ve been doing a lot of Pot In Pot in my Pressure Cooker lately, so I figured it would be perfect to try out the grits that way. Add all ingredients to your 1.5 Quart Stainless Steel “Pot in Pot” Bowl. This time, I grabbed a Stainless Steel Mixing Bowl and dumped all the ingredients into the bowl. If you are using a glass bowl, add five minutes to the cook time. Add some water to the bottom of your Pressure Cooker, place a trivet and carefully set the Bowl on top. That is it! Close the lid and go about your business. 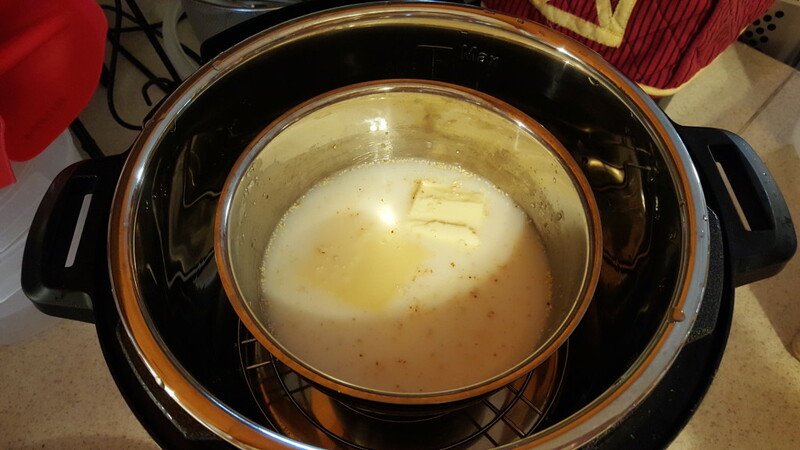 Toasted Grits in the Pressure Cooker cooking pot is my favorite way of cooking Grits. However, it sure is nice to quickly make a single serving of grits using the Pot in Pot method. I hope you enjoy! 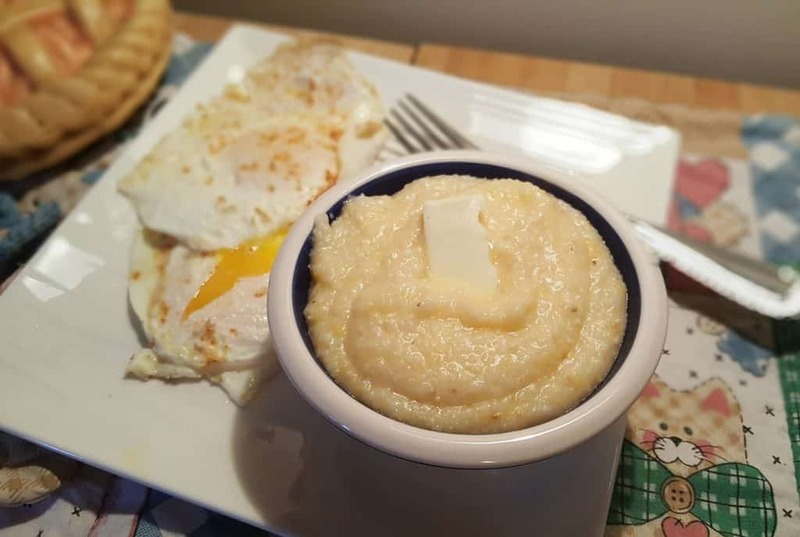 Palmetto Farms Stone Ground Grits – The Best!! Using the Sauté or Browning function, allow pot to heat and then add Bacon Grease, Butter or Oil. Add Grits and toast for three minutes, stirring constantly. Turn off Pressure Cooker. Add the rest of the ingredients. Cook at High Pressure for 10 minutes. Allow a 15 minute natural release and then open pressure valve to release remaining pressure. Place low footed trivet in bottom of cooking pot. Place oven safe bowl with ingredients on top of trivet. Cook at High Pressure for 10 minutes. When Beep sounds, allow a 10 minute Natural Pressure Release. Add five minutes to cook time if using a glass bowl. PIN this Pressure Cooker Southern Style Cheesy Grits! You could toast the grits on the stove and add them to the rest of the ingredients in the PIP method. 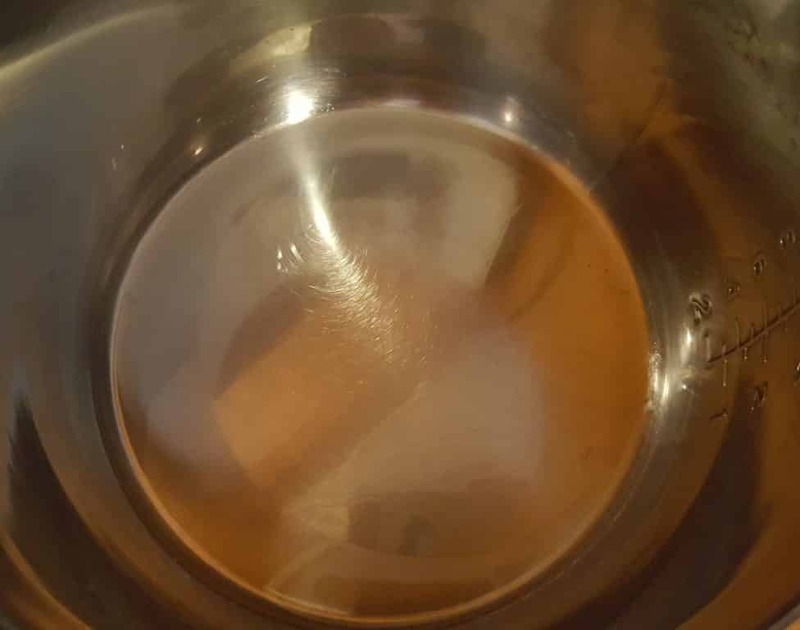 I suggest trying chicken stock instead of water for a big flavor boost as well. I love the flavor you get when toast grits (or any other grains- I always toast my rice before it’s COOKED). Turn pressure cooker on. Then put dry grits (grains) in-toast them-add liquid & lid. I too love that flavor and am glad you are enjoying my recipe in the Pressure Cooker. My first pressure cooker fail was an attempt at grits and I was terrified to try again. I had read that milk burned and so I thought this was going to be a mess, but I decided to go for it. I am glad I did! I made it as written, minus the cheese, and it was the perfect texture! Thanks so much. Now I don’t have to worry about overflowing on the stove top! Everything can be doubled without a problem and cook time is the same. If the grits feel to thin to you, just simmer at the end, until they become just right. As a lifelong Southerner, bless your heart for sharing this recipe. 🙂 Any plans to share your shrimp and grits recipe? I plan on making the shrimp and grits very soon. I lived in Charleston for a few years and based my recipe off of Joseph’s grits. It is shame that wonderful restaurant closed. I like the flavor of grits, but have only had instant grits. I don’t care for the texture. I am going to try these, with some homemade stock!!! Thanks Jill! 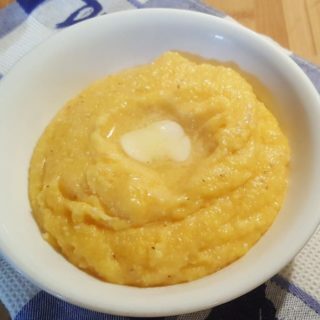 I used instant grits and followed Jill’s recipe for PIP… it worked and was really creamy! I am in Canada and only have 5 minute grits……did you change anything in your recipe for the instant grits or did the same as it is written? Shorter time? Just made this recipe and it turned out great! I cut the salt back to one tsp and then used one tsp of chicken bullion. So delicious! 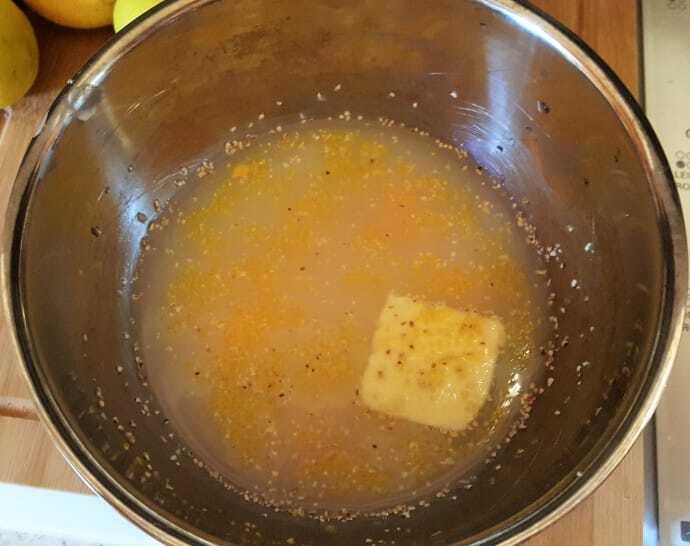 I followed the recipe exactly and the grits stuck to the bottom of the pot and it never came to pressure – I realized what was happening before it scorched and moved it to the stovetop to finish – what did I do wrong? Brandy, did you allow your pressure cooker to fully heat before adding the fat? Love these ideas! And the results look delicious. Thank you for trying and sharing our product. Thanks so much for your message. I love your products. I would love to speak with you regarding working together on a recipe and/or promotion. I’ve made these twice, and both times the pot is scorched on the bottom when finished (not after sauteing the raw grits). I am letting it say “hot” before adding the fat. Also, despite stirring a lot before putting the lid on, they are a bit lumpy. Any tips? This recipe is so much better than any other IP grits I can find…just getting tired of cleaning scorched pots. What type of fat are you using to toast the grits? I also tried bacon grease last time. It’s not scorched at that point, though…it’s happening after the lid goes on. Would it work to put the cheese in after cooking, maybe? I followed your pot in pot method as I wanted a smaller portion and it was great! Way better than on the stove. Loved it! Thank you. Wonderful! It is great not to have to stir and stir. Palmetto Farms stone ground grits are my favorite! I’m in Michigan, but have family in Charleston that keep me well stocked. Cannot wait to try your recipe!! Natural release defeats the point of using a pressure cooker. How could the total time be 15 minutes if you have to wait 15 minutes before you open the pot? The total time of your method is 30 minutes, which is too long for breakfast. 12 minutes and quick release. 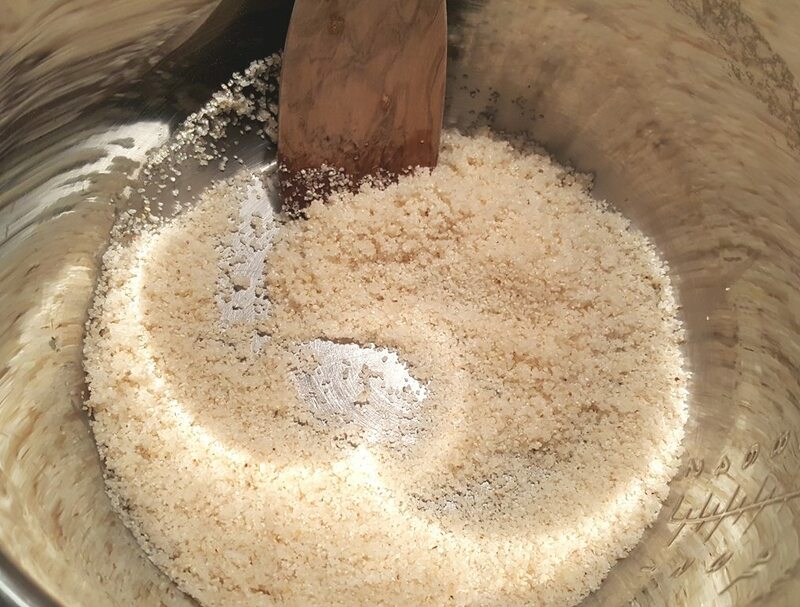 I have used this never failed recipe many times. I buy nom GMO stone ground yellow and white grits. The texture. 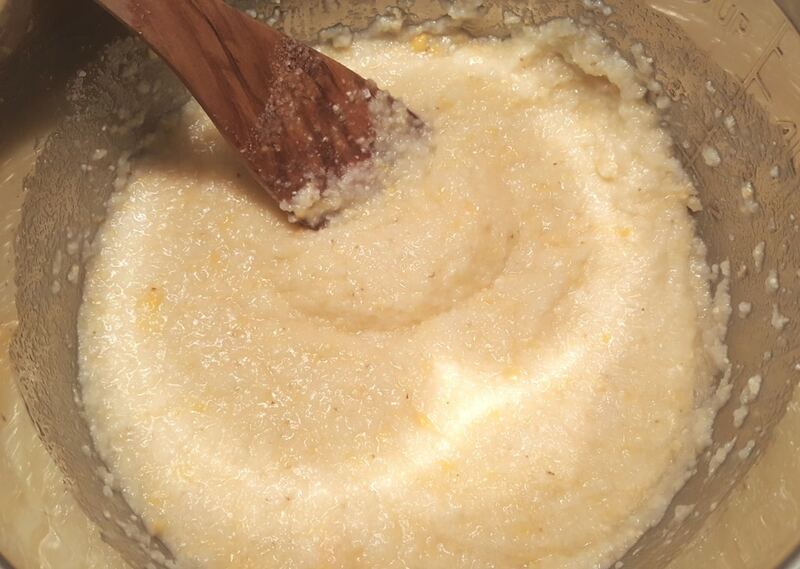 These types of grits always have a nice taste without being like paste. Thank you so much for this superb recipe. Thanks for the recipe. I was wondering if these can be frozen? My husband is the only one who likes grits so mostly he has to eat instant, but I would like to make these for him. Do you have an iP recipe for shrimp and Grits? I would like to know if the pressure cooker should remain plugged in for the 10 minute natural pressure release. Just made these for the first time and they were amazing! I used the pot in pot version and doubled the ingredients. I did not use cheese this time …. wanted to see how plain grits would turn out. They looked like they were not finished cooking when I opened the pot, but once I stirred them, perfect grits! 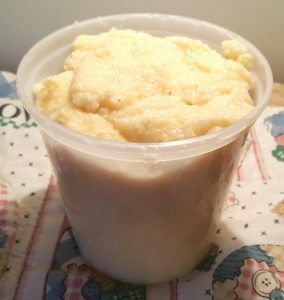 I have been cooking grits for many, many years and I can truthfully say these were the easiest and BEST grits I have ever made. Thank you for such a wonderful recipe. Made this recipe tonight (directly in the pot) without the cheese. They did scorch lightly but not a big issue. So deliciously creamy. I served them topped with pulled pork. Comfort food at its finest! Hey Jill. Just got an Insta-pot. Being an infernal Yankee new Englander, I had never had the occasion to even see grits nevermind try them unroll I got some at an excellent BBQ joint near me. HOOKED!!!. Just made some for breakfast with smoked gouda slab bacon crumbled in with poached egg on top. I’m in heaven. Thanks. P/S my pet cockatoo loves it too! Hey Jill. Just got an Insta-pot. Being an infernal Yankee new Englander, I had never had the occasion to even see grits nevermind try them until I got some at an excellent BBQ joint near me. HOOKED!!!. Just made some for breakfast with smoked gouda slab bacon crumbled in with poached egg on top. I’m in heaven. Thanks. P/S my pet cockatoo loves it too! I made this recipe (directly in pot). Like another commenter, it scorched on the bottom and was a little lumpy. I easily beat the lumps out with a whisk and it was amazing. I topped it with pressure cooker pulled pork. The leftover grits reheated well for a second go-around. I’m planning to make another batch tonight. Do you think that I should try just a smidgen more water to prevent the scorching? And yes, I allowed the pot to get hot before toasting the grits and ensured the pot bottom was clean before locking the lid down. I didn’t see your comment before I posted mine. I, too, have had these scorch every time I’ve made them. They still work beautifully; I whisk out the lumps several times as they are sitting in the warm pot, and they work just fine. But I would like to avoid scraping the burned ones off the bottom. I don’t think more water would help; I think it’s the nature of the grits to sink to the bottom. Pot-in-pot may be the only way to avoid this, but I don’t have a bowl deep enough to make the full recipe PIP. I have made these three times, and they are a huge hit every time. Everyone loves them! My question is, every time I have made them, they have scorched on the bottom and the pot does not reach pressure. That said, I go ahead and let it run for the time stated in the recipe, then leave it on “Keep Warm,” and go one more time at the recipe time and then I leave it on “Keep Warm” until I need to serve them. They work fine, but I’d love to have them not scorch in the pot, so that I can make them properly, and not have to scrub at the end. I’m following the instructions to the letter. What am I doing wrong that is causing the scorching? I would think there would be enough water in the pot to prevent it, but I’m not sure. Followed the first recipe and the pot gave me the burn notice because it was scorched. Not sure why. Anyone else have this issue? This seems to happen a lot with my pot. Any ideas? I have had problems cooking grits with milk. I now only use chicken stock in the pressure cooking phase and add the milk/cream/cheese after they have cooked with the instapot on saute. Single serving pot in pot method worked like a charm. Used water and roast pork jus instead of water and milk, but the consistency was perfect. I’ll take real grits in 20 minutes over instant grits any day! You talk about both yellow grits and white grits and two different ways of making them. Just to clarify, the white grits have to be made in the pressure cooking pot but the yellow ones have to be made using the pot in pot method? Or can they both be cooked both ways? Thanks! Do you think I could double the recipe and do the same amount of time? I forgot to say I’m doing the in pot method. I’ve been using the pot in a pot method with great success. I’ve realized that, after doing a natural pressure release, I can stir up the grits, crack 2 eggs into the pot on top of the grits, and cook for another 5 mins on low pressure (with another natural pressure release), giving me perfectly poached eggs on top of my grits. Sometimes I add some precooked sausage or bacon during this step. Then I eat it all right out of the inner pot. It’s awesome. Also, I got a couple of these stainless steel inner pots from crock-pot and they work perfect for the pot-in-pot method. These have to be the best grits I have ever tasted!! 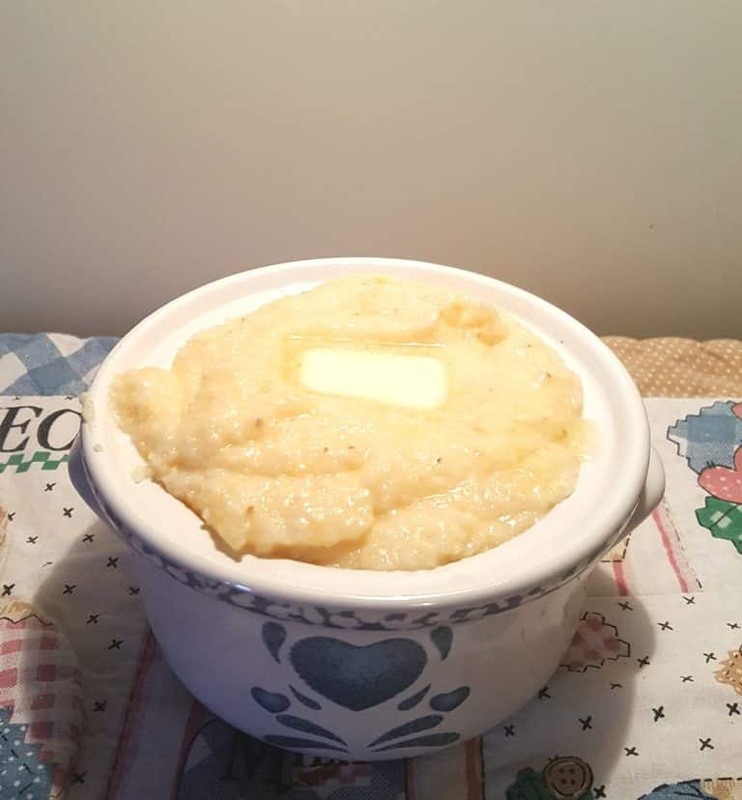 The best grits I have ever made! I used the pot-in-pot method and love the way they came out. Just got my Instant Pot last week so I’m testing things out. I will use this recipe for grits from now on. I’ve made this several times now, and it always turns out great! I love the recipe “as is” but sometimes I haven’t had the cheese, and the grits are delicious. I sometimes use chicken broth instead of water, which gives a savory depth to it. Thank you for the recipe. I’ve tried a few others, but this is the by far the best one! These grits are amazing! I made them right in the IP insert instead of the PIP method. I didn’t add the cheese before it cooked, but chose to add it afterwards. Even my husband, who has never liked grits in the past, really liked these!! Thank-you for sharing this recipe! I can’t wait to try this. I love grits and never thought about toasting them. I like them thick too, not the watery stuff that you find in restaurants. I made there tonight and served with crab cakes. These grits were wonderful! I followed directions as written, however I added. Little chicken broth to the water and used heavy whipping cream, then added a few spoonfuls of alouette garlic and herb cheese at the end. Just perfect! Upon your advice i used your lonk to order tge yellow Palmetto grits. Tgey Re FABULOUS, the best ive ever had. I just make 1/4 cup grits to one cup water in the microwave. Topped the cooked grits with a poached. Grits took 3 mintes with anout 1 minute rest. When i make it fir the two of us i will use your recipe. I would recommend adding the cheese after everything is done. I also recommend adding 2 or 3 crushed cloves of garlic, and using chicken stock in place of the water. I made this recipe with the above additions and I must say, using the instapot pressure cooker resulted in a creamy grit that was exceptional. Love reading this recipe!! Have to try this when I get home to my pressure cooker! 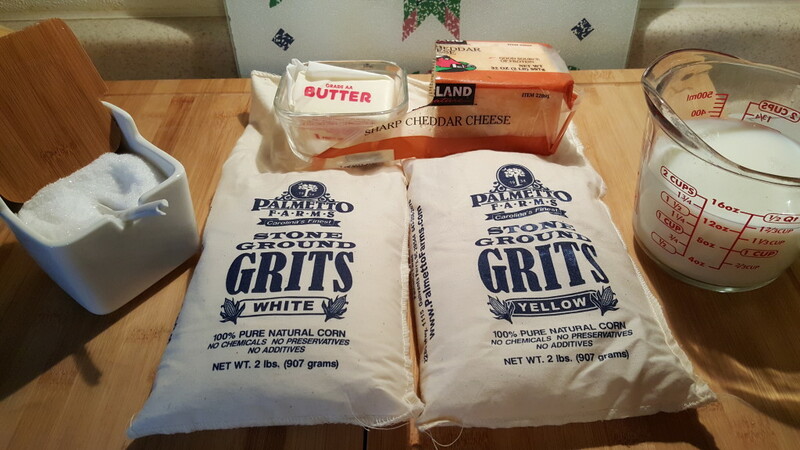 I purchased the Palmetto grits using your link. They are terrific. Right mow i have yellow homininy grits. Yum. I have to use lactose free milk and mo heese but still wonderful topped with a poached egg. I am going to look for your shrim and grits recipe. Looking for a nicely seasoned dish like ive had in. Charleston. I need to make this for a gathering! I want to fill the pot at least 2/3 full…any thoughts on how many times I should multiply the recipe? And how much longer to cook? I need to make a full pot of this for a gathering…any thoughts on how many times to multiply the recipe and how much extra cook time to add? OMG! Perfect! Thank you so much! Excellent!! I loved how moist these grits turned out! All the yum with none of the mess!! This is my new go-to! I am super picky about my grits, and these were amazing! I used pot in pot and increased ingredients by 1/2. Used 1/4 cup plus 2 TBSP grits, 1/2 cup half and half and 1 cup water. Left out cheese for hubby’s preference. Was just the right amount for the two of us. Loved them! He even commented that they were the best grits we have had in a long time, and he rarely comments. Will try with cheese next time…for me! I’m a Yankee – a NY’er to be exact and I’ve never been a fan of grits. Until now. Now I know why southerners enjoy them so much. You’re probably wondering why I even attempted to make them when I don’t like them and it’s because I always like to try different variations of things I don’t like until I’ve exhausted every possible way before I can truly exclaim that I don’t like it! I made the PIP recipe and they were creamy and tasty. Usually, diners just dump a bland spoonful on your plate and that has been my basis for my dislike of grits. Thank your for your recipe and for making this Yankee taste what she’d been missing all these years. I have both the 8 and 3 qt IP. The 3 QT IP fits beautifully into the 8 QT for the PIP method using the included trivet. I increased the recipe by 50% (1.5 cups grits, everything else proportional) with good results. Thanks for posting the recipe Jill, cheers! Being a Southern gal I have been eating & cooking grits my entire life. This is absolutely the best way to cook them. Some argue the IP takes just as long so why not cook on the stovetop. Well, that may be true but with the IP you don’t have to sit & babysit them, worry about them boiling over or scorching. I followed your recipe exactly except for the cheese. Hubby prefers plain grits. 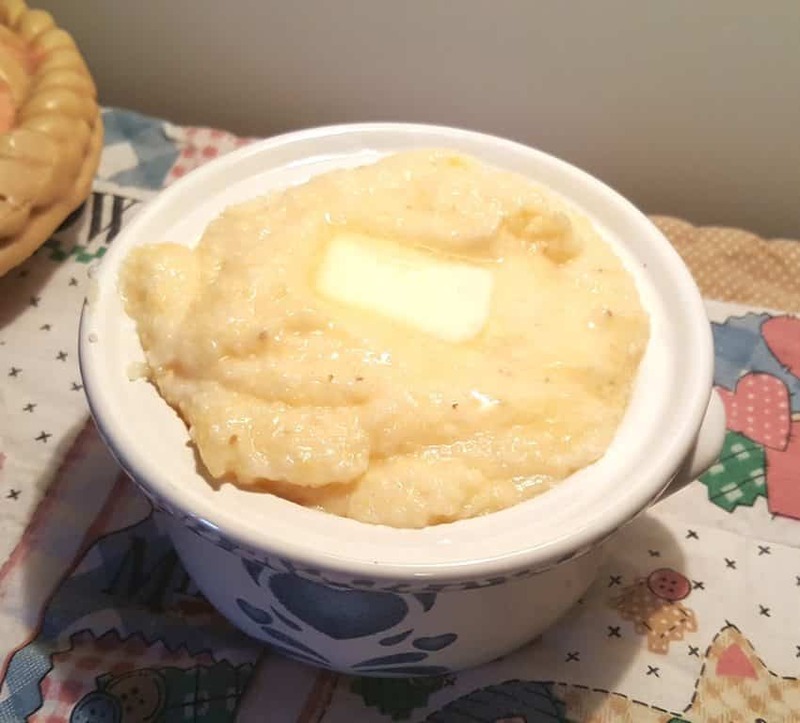 They were some of the best grits I have ever made.